Hard icing, also known as royal icing, is ideal for creating piped designs on cakes, cookies and cupcakes. When it's first made, it ranges from fluid to paste-like. After a drying period, the icing becomes hard and will not smudge. This recipe for hard icing is adapted from one by the BBC. Egg-free and pourable variations of the icing are inspired by ones from Wilton and the kitchn. Sift the sugar, using a metal sieve, into a small mixing bowl to remove all clumps. 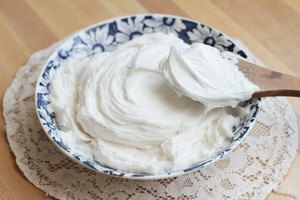 Whisk the egg whites in a separate large mixing bowl on medium speed. Beat until the whites are frothy, 2 to 3 minutes. Add the sugar to the egg whites 1 heaping tablespoon at a time. Continue beating the egg whites on medium speed. Ensure that the mixing bowl and whisk or mixer are completely free of grease. Even a slight residue can make it hard to get a consistently thick, hard icing. Use the icing immediately, or cover it with plastic wrap and store it in the refrigerator for no more than 2 hours. Bring the icing to room temperature before using it to decorate baked goods. Allow the icing to dry for 8 to 12 hours to fully harden. Replace the egg whites with 1 1/2 tablespoons meringue powder and 2 1/2 tablespoons warm water. Beat all of the ingredients -- including the powdered sugar -- on low speed for 7 to 10 minutes until stiff peaks form. Make an egg-free hard icing using only water, lemon juice and powdered sugar if you do not have meringue powder. In a medium-sized bowl, whisk 5 tablespoons water, 2 cups powdered sugar and 2 teaspoons of lemon juice until stiff peaks form. On low speed, this will take 7 to 10 minutes. Note that his icing is less stable than icing made with egg whites or meringue powder and takes longer to dry, around 24 hours. Hard icing, because of its stiffness, does not always spread smoothly. For a more spreadable icing, one that will not naturally leave peaks, add an extra egg white to the recipe. For an egg-free icing, add extra water a 1/2 tablespoon at a time until you reach the desired consistency. Food coloring will affect the consistency of the icing. To color hard icing, add 2 to 5 drops of food coloring to the liquid ingredients while blending. Reduce the amount of liquid used -- lemon juice or water, depending on the recipe -- by a 1/2 teaspoon. 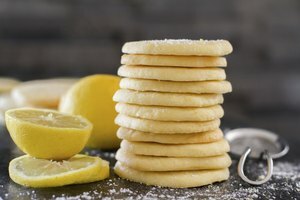 Replace the lemon juice with the same amount of flavoring extract, such as vanilla or almond, to change the taste of the icing. 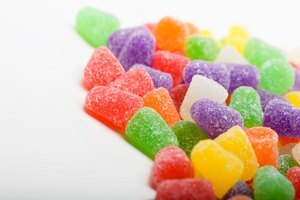 How hard icing is used or applied depends on its consistency.